engine is placed in operation. Using torque wrench, torque bolts (Figure 5, Items 1 and 2) to 100 ft-lb (135.6 N·m). Repeat torque sequence to 100 ft-lb (135.6 N·m) to ensure first bolts torqued did not lose clamp load. 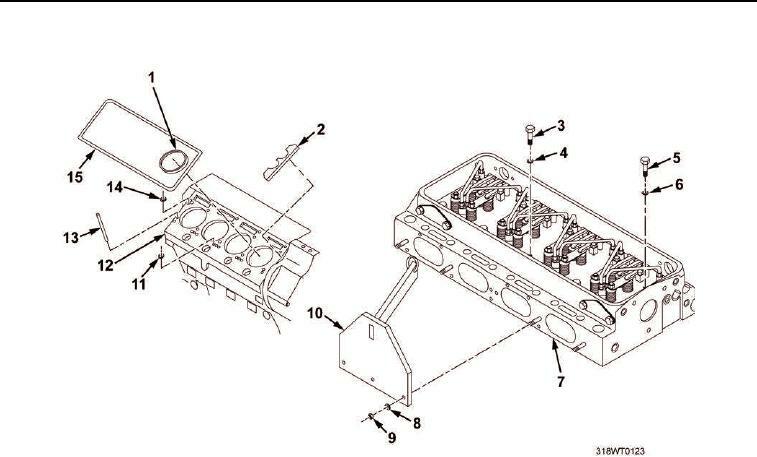 Mark position of each cylinder bolt head (Figure 5, Items 1 and 2) in relation to cylinder head profile face.